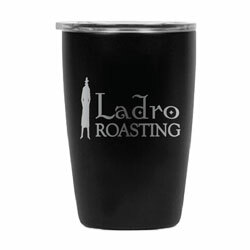 You are going to love these new Ladro mugs! They fit perfectly in your cupholder and the Double Wall Vacuum Insulated Technology keeps your hot drinks hot and your cold drinks cold. 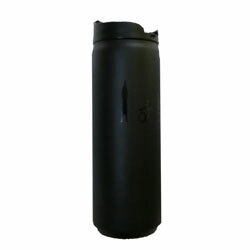 Lid and cup are BPA free. 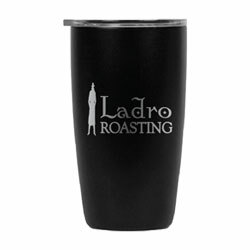 Cup is medical grade stainless steel to so there is no flavor transfer and no metallic aftertaste. Press-on lid prevents splashes. Each mug purchase funds clean water and health projects; use the number that comes with your mug to see which project your mug helped fund! From Don Carlton of Spokane, Washington on 1/19/2019 . 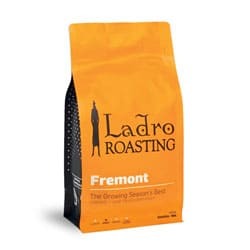 My fault; I ordered a 6oz cup and should have ordered a 8oz as this is the more standard coffee size. I also thought that I could warm the coffee in the microwave but not metal. Otherwise OK.